"24/7 PRIVATE BUSINESS JET CHARTER IN TURKEY TEL +905325692420. PRIVATE JET AND HELICOPTER CHARTER COMPANY IN TURKEY. THE BEST JET/HELICOPTER CHARTER IN TURKEY. Looking Executive Aircraft Charter Turkey, Jet charter Turkey, Jet charter from Istanbul Turkey, Executive Aircraft Rental Turkey, Private Jet charter from Ankara Turkey, Jet charter from Antalya, Private jet hire from Bodrum, Executive jet charter Dalaman, Jet charter Izmir Turkey, Private Aviation Turkey, Private Jet Charter Turkey, Private Jet Rental Turkey, Executive Jet Charters Turkey, Executive Aircraft Hire Turkey, Aircraft Hire Turkey, Jet hire Turkey?" VIPSTAR JET CHARTER SERVICE is a Private Jet Charter Company in Turkey (Turkish Private Aviation Company). We provide uniterrupted flight services to destinations within Turkey, Russia and Europe from airplanes based in Istanbul, Ankara, Izmir and Antalya, Bodrum, Dalaman using private jets (Cessna, Bombardier, Falcon, Hawker etc..), turboprop airplanes (King Air B200) and helicopters (Eurocopter, Bell, AgustaWestland). VIPSTAR JET CHARTER SERVICE Will provide you the very highest standards in business aviation charter, Safety procedures and ultra-personal service and discretion. We offer all year round the best available prices for Private Jet Charter in Turkey (Private Aviation in Turkey). do you need these services ? Please call us about our. 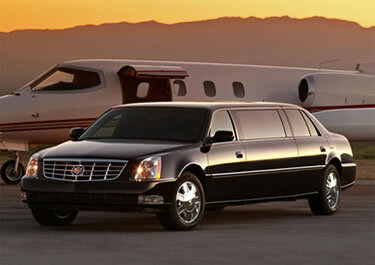 Business trips, congre and meetings, invites and dinners, airport transfers with our luxury cars and minibuses.